The following countries are not part of the Schengen Area, yet they ALLOW foreign citizens of other countries to enter and stay in their territories, ONLY by showing a valid Schengen Visa (double entry or multiple entry). Such foreigners, do NOT need a national visa issued from these countries to enter, transit and stay in their territory temporarily. Based on the Law No.108/13 “On Foreigners”, by the Decision of the Council of the Ministers No. 513/13 “On the Treatment of Foreigners”, foreigners can enter, transit and stay in the territories of Albania without an Albanian visa if they have a valid, multiple-entry short-say Schengen visa, previously used in one of the Schengen states. The maximum allowed period of stay of this category of foreigners is 90 DAYS in any 180 DAY period (For more and updated information please click here!). Foreigners – third country nationals seeking to enter, transit and perform short-stays in the territory of Antigua and Barbuda can do that if they enjoy a valid Schengen Visa. However, national visa will be granted on arrival (border), a single entry tourist visa-on-arrival for stay up to 30 DAYS (For more and updated information please click here!). Nationals of El Salvador, Honduras, China (up to 3 DAYS) who want to enter, transit and perform short-stays in the territory of the Republic of Belarus can do that without needing a Belarus Visa, in case they possess a valid Schengen Visa (For more and updated information please click here!). Foreigners who have a multiple-entry Schengen Visa, can enter and stay in Bosnia and Hercegovina up to 15 DAYS upon every entry per period of 180 DAYS, if visa previously used in one of the Schengen Area (For more and updated information please click here! and click here!). Since the 31st of the January 2012 the Republic of Bulgaria has entered into force the decision for a visa-free system to enter, transit and stay, for the holders of valid Schengen Visas. The allowed period of stay in this category of foreigners is up to 90 DAYS in any 6-MONTH period. Holders of passports issued by the following countries or territories are granted visa-free access for a maximum of 90 days (unless otherwise noted) if they hold visas or residence permits issued by a Schengen Area country. Schengen visas holders must ensure their visa is valid for at least 180 days from their arrival date in Colombia. Foreigners can enter, transit and stay in the territory of Costa Rica, up to 30 DAYS within any 6-MONTH period, without needing to show an additional Costa Rican visa, in case they enjoy a Scgengen Visa (For more and updated information please click here!). Updated on 19th of December, 2016: Costa Rica Eliminates Entry for Schengen Visa Holders. Since the 22nd of the July 2014, the Republic of Croatia has entered into force the decision to allow all foreigners holding valid Schengen Visa to enter, transit and stay in its territory without needing to provide an additional Croatian visa. The allowed period of stay is 90 DAYS within any 6-MONTH period (For more and updated information please click here!). Croatia is a member of EU since July 2013. Foreigners are excused of having a Cypriot Visa if they possess a valid Schengen Visa (type C, double or multiple-entry) if they want to enter, transit and stay in the territory of Cyprus. The allowed period of stay for this category of foreigners is maximum 3 MONTHS within any 6-MONTH period (For more and updated information please click here!). Foreigners exempted to have a Georgian Visa to enter, transit and stay in Georgia are persons holding a visa from Schengen countries. The allowed period of stay for such category of foreigners is 90 DAYS in any 180-DAY period (For more and updated information please info click here!). Nationals of Morocco, Chinna, Mongolia, India or Russia holding a valid multiple-entry Schengen Visa, can enter, transit and stay in the territory of Gibraltar without needing an additional Gibraltar Visa. The allowed period of stay is 21 DAYS (For more and updated information please click here!). Foreigners which possess a valid multi-entry Schengen Visa are exempt to obtain a Kosovo Visa to enter, transit or stay in the Territory of the Republic of Kosovo for up to 15 DAYS within a period of 6-MONTHS (For more and updated information please click here or here!). Amongst foreigners which can enter, transit and stay in the Former Yugoslav Republic of Macedonia without a national entry visa are foreigners, are those possessing a short-stay Schengen Visa (Type C). The allowed period of stay in this case is 15 DAYS upon every entry per period of 180 DAYS (For more and updated information please click here!). If you have a valid and unexpired Schengen visa, you do not need a visa to enter Mexico for tourism, business or transit purposes. All individuals in this category are required to present their valid and unexpired visa along with their passports. Both documents must be valid during your entire stay in Mexico. (For more and updated information please click here!). Foreigners holding a valid Schengen Visa can enter, transit and stay in the territory of the Republic of Montenegro without needing to show a Montenegrian visa. The allowed period of stay to this category is maximum 30 DAYS upon every entry per period of 180 DAYS (For more and updated information please click here!). Foreigners are allowed to enter, transit and stay in the territory of Panama, up to 30 DAYS within any 6-MONTH period, without needing to show a Panamanian visa if they have a valid Schengen Visa (For more and updated information please click here!). Updated on 16th of January, 2017: Schengen Visa holders no longer good for entry to Panama. Foreigners seeking to enter, transit and perform short-stays in Romania, can do that without needing to show national Romanian Visa, if they enjoy a valid Schengen Visa (type C, double or multiple entry). 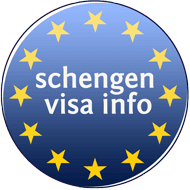 The allowed period of stay must not exceed the period of 90 DAYS within a 6-MONTH period and the visa must be used in the territory of the Schengen area first (For more and updated information please click here!). Foreigners who want to enter, transit and stay in the territory of Sao Tome and Principe can do that, without needing to prove having a Sap Tome and Principe Visa, in case they enjoy a valid Schengen Visa. The allowed period of stay in this category of foreigners is up to 15 DAYS within a 6-MONTH period (For more and updated information please click here!). Since the 30th of the October 2014 the Republic of Serbia has decided to allow foreigners to enter, transit and stay in its territory without holding a Serbian visa if they have a valid Schengen Visa. The allowed period of stay should not exceed 90 DAYS within a period of 6 MONTHS (For more and updated information please click here!). Nationals of Afghanistan, Angola, Bangladesh, Benin, Botswana, Burkina Faso, Burundi, Cameroon, Cape Verde, Central African Republic, Chad, Comoros, Cote d’Ivoire, Democratic Republic of Congo, Djibouti, Egypt, Equatorial Guinea, Eritrea, Ethiopia, Gabon, Gambia, Ghana, Guinea, Guinea-Bissau, India, Iraq, Kenya, Lesotho, Liberia, Libya, Madagascar, Malawi, Mali, Mauritania, Mozambique, Nepal, Niger, North Korea (Democratic People’s Republic of Korea), Pakistan, Philippines, Republic of Congo, Rwanda, Sao Tome and Principe, Senegal, Sierra Leone, Somalia, Sudan, Swaziland, Tanzania, Togo, Uganda, Vietnam, Yemen, Zimbabwe holding a valid Schengen Visa are ALLOWED to enter, transit and perform short-stays in Turkey. They first SHOULD GET a single-entry Turkish e-Visa which has a 1-MONTH validity (with a possibility to apply for such visa electronically in the website www.evisa.gov.tr (For more and updated information please click here! ).